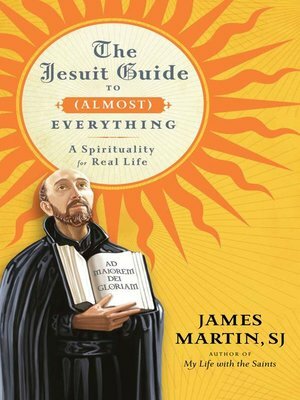 The Jesuit Guide to (Almost) Everything by the Revered James Martin, SJ (My Life with the Saints) is a practical spiritual guidebook based on the life and teachings of St. Ignatius of Loyola, the founder of the Society of Jesus. Centered around the Ignatian goal of "finding God in all things," The Jesuit Guide to Almost Everything shows us how to manage relationships, money, work, prayer, and decision-making, all while keeping a sense of humor. Filled with user-friendly examples, humorous stories, and anecdotes from the heroic and inspiring lives of Jesuit saints and average priests and brothers, The Jesuit Guide to Almost Everything is sure to appeal to fans of Kathleen Norris, Richard Rohr, Anne Lamott, and other Christian Spiritual writers.